I need some help to identify the item in the picture. 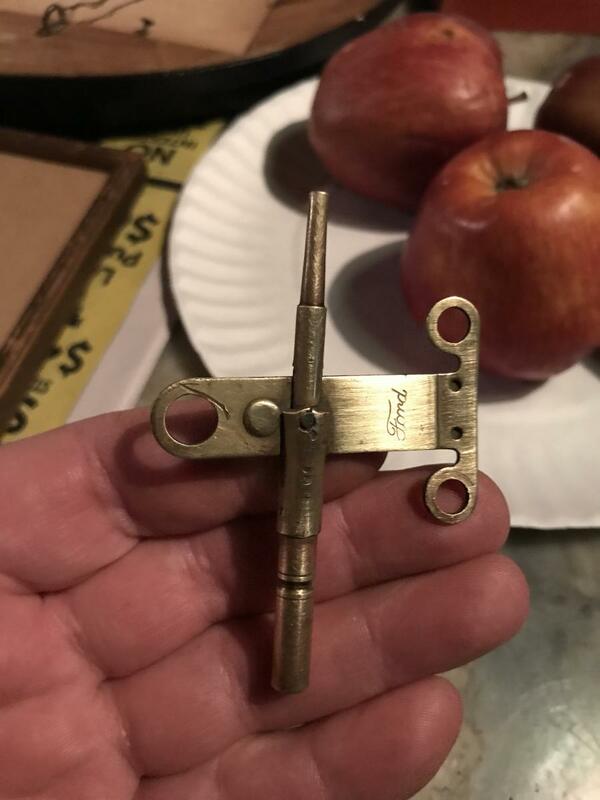 I believe it is a clock key but not sure. It is embossed with Ford in script. 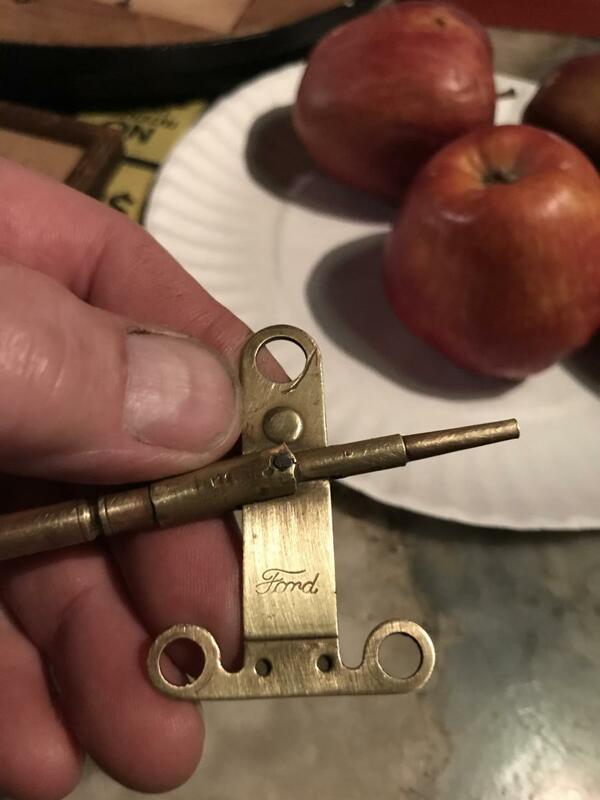 The item with the Ford script is the top half of a set of Model T coil points. 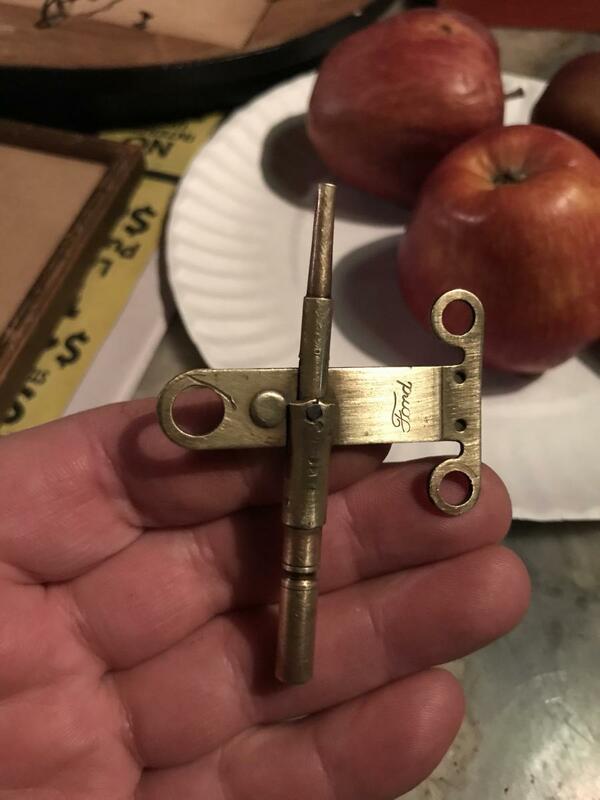 Don't know what the other half is. That makes sense. I bet someone used it to replace the handle to an old clock key.